Roof cleaning is something that we often forget about, and a lot of homeowners don’t even know that it should be done. Not cleaning your roof can result in emergency roof repair in Johnson County, which is never good. 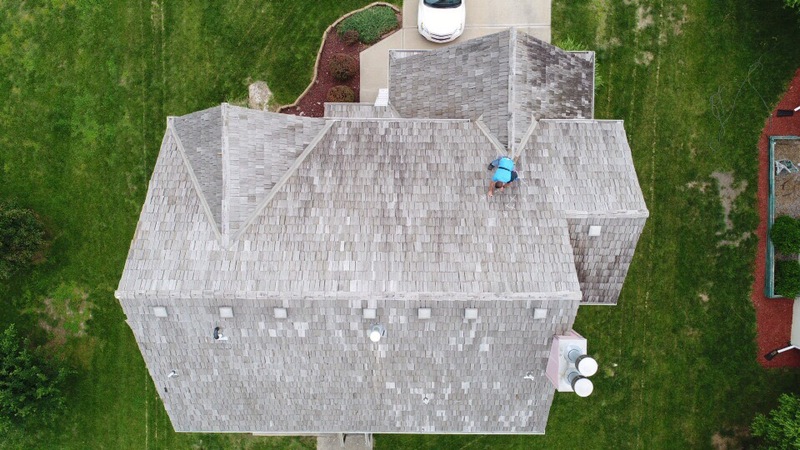 Cleaning your roof with the best roofer in Johnson County results in protection against weather and temperature conditions that might damage your roof. Not only will cleaning your roof extend your roof’s lifespan, but it will also keep your roof looking fresh and new. Your Johnson County roofing company will always encourage you to clean your roof. Here are roof cleaning tips & tricks from your residential roofing contractors in Johnson County. Should I Clean Your New Roof In Johnson County? How Often? There is no easy answer to this question. The amount you should clean your roof depends on the condition of your roof. One of the best things you can do for your roof is to pay attention to its health. Your roofer is ready to perform roof repair in Johnson County when needed, and if you notice the repair quicker, it can save you time and money. The best time to clean your roof is in the summer season without any rain, wind, snow. This is safer and more effective. Check to make sure you have the right tools. Have a friend support your ladder, and be present for safety. Let someone know you’re going to be doing roof work. The safest way to clean your roof is to hire a roofing company to clean it for you. Commercial roofing contractors in Johnson County will not only bring the right safety equipment but also their knowledge and awareness of roof health. Call your trusted roofing company today, and ask about roof maintenance and roof cleaning. Not only will they help guide toward a healthier roof, but also a safer home. Don’t forget, your premium Johnson County roofing contractor is here for you!